32. 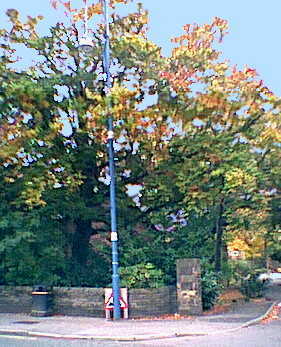 Autumn comes to Romiley. We were told that the dry summer would have a dramatic effect on autumn's colours with leaves turning bright red and leaping off the trees extremely early. Here we are in the middle of October and nothing different or spectacular has happened compared to a 'normal' autumn. There are leaves about on the ground, especially in the bashed bollard shot (right), but not great mounds of them. 33. 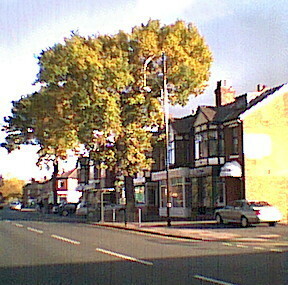 Autumn on the main street. Some trees have shed all of their leaves, however. This is one of them. 34. 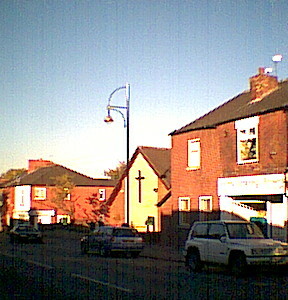 The new lamp at the Methodist church. 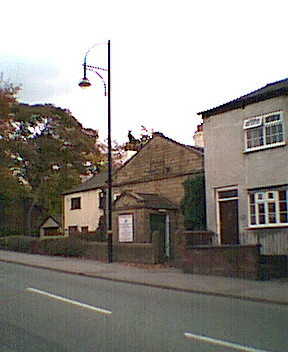 This completion picture puts the position of the lamp at the Methodist church into clearer context (see also picture 23, Section 4). ... when they thought no one was looking. 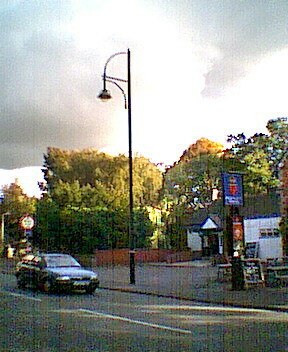 This unpainted lamp can be found to the west of the Grey Horse pub and on the same side of the road. 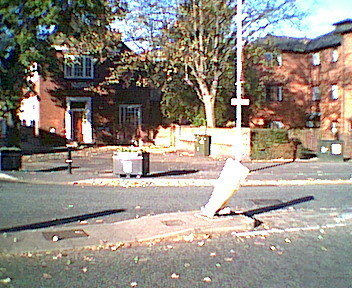 It's the next one after the lamp in picture 35 (but on the south side of Stockport Road). (b) after another fancy lamp has been installed outside the Old Folks' flats at the end of the new lamp zone and when the zone-end lamps are painted. 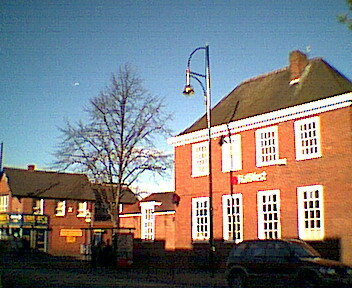 The new lamp outside the Signol Centre is the next one going west on the south side of Stockport Road after the new addition shown in picture 48. 37. At the station / Romiley Arms. 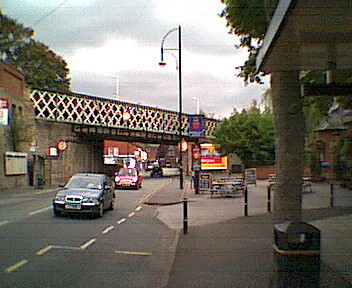 The railway bridge and the new lamp outside the Romiley Arms (opposite the station) (left) and another shot of this lamp from the station side of the road (right). 38. 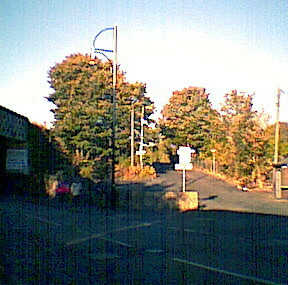 On the eastern side of the railway bridge. 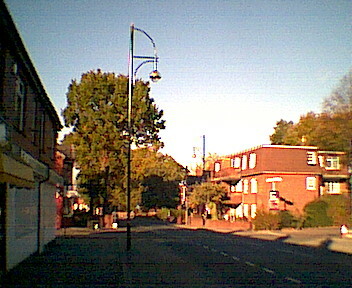 The new lamp at the foot of Guywood Lane (left) and the one at the end of Beechwood Avenue (right). Their associated trees still have lots of leaves.